Verhuizing van Schaarsbergen naar Amsterdam, uitgevoerd eind juli 2011. We just want to thank you for the move your company did for us to Amsterdam. I can not say the move was good, the move was PERFECT. 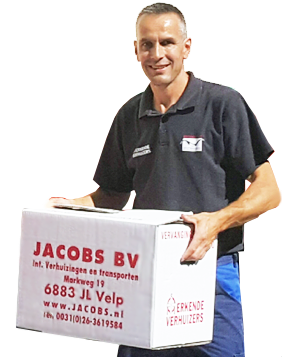 What a good movers you have, Pieter you did not say one word to much. You said you put your hand in the fire for your staff, well I can say this: you can put both your hands in the fire for them. Thank you very much, when we move in the future we will use your company again.